Houlton's Kolleen Bouchard, right, is guarded by Hermon's Chloe Raymond during Wednesday's Class B North semifinal. Dexter's Megan Peach (center) wins a rebound past Madawaska's Jenna Dugal (left) and Madawaska's Kathryn Bosse during their Class C girls basketball quarterfinal game at the Cross Insurance Center in Bangor on Feb. 21. Shead's Holly Preston, middle, drives to the basket while guarded by Ashland's Hannah Stratton. Trailing on the play is Ashland's Jamie Poulin. 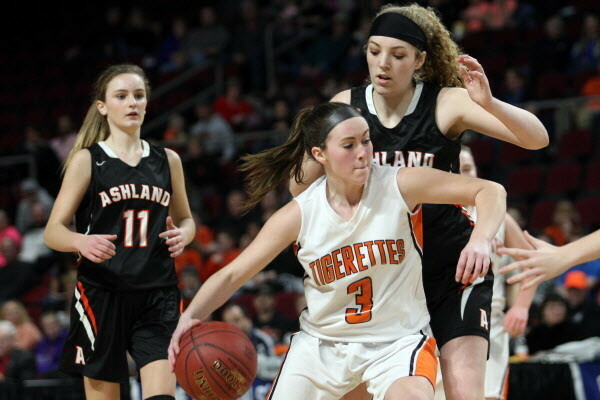 Houlton High School junior guard Kolleen Bouchard’s attained another milestone in her remarkable career as she has been named a Bangor Daily News’ Owen Osborne Most Valuable Player for the third straight year. It’s the second time Bouchard has won it in Class B, after claiming it as a freshman in Class C.
Bouchard, a Bangor Daily News All-Maine Schoolgirl first-teamer last season, led Houlton to its third consecutive regional championship and the Shires will be gunning for their third consecutive state championship against Gray-New Gloucester on Friday at 7 p.m. at the Augusta Civic Center. Senior center Megan Peach, who guided Dexter to its first Class C North title since 2007, was named the MVP of the C North tournament and senior guard Holly Preston, who powered Shead High School of Eastport to its second straight regional D crown, was the Class D MVP. Senior guard Sophie Holmes of Messalonskee High in Oakland claimed the Osborne Award in Class A. The BDN did not select a Class AA North squad, but Tasia Titherington of Deering High in Portland was honored by Augusta tourney voters with the Red McMann Award given to the MVP. Joining Bouchard on the Class B all-tourney team were teammate Rylee Warman, a senior guard; Hermon senior forward Emi Higgins, Foxcroft Academy senior forward Abby Simpson and Presque Isle junior guard Emily Wheaton. Higgins and Wheaton were also repeat selections. Peach was accompanied on the Class C all-tourney team by teammate Abby Webber, a senior guard; George Stevens Academy of Blue Hill senior forward Morgan Dauk, Stearns of Millinocket senior guard Emma Alley and Piscataquis Community of Guilford junior guard Erin Speed. Peach was an all-tourney pick two years ago. Shead sophomore forward Madison Greenlaw joined Preston on the “D” team along with Southern Aroostook of Dyer Brook sophomore forward Kylie Vining and sophomore guard Kassidy Mathers and Easton’s Isabelle Morin. Preston was an all-tourney pick last year. Holmes’ Class A North all-tourney counterparts included two teammates, senior McKenna Brodeur and junior Ally Turner, along with junior Chelsea Crockett and senior Sidney Moore of Nokomis High in Newport. 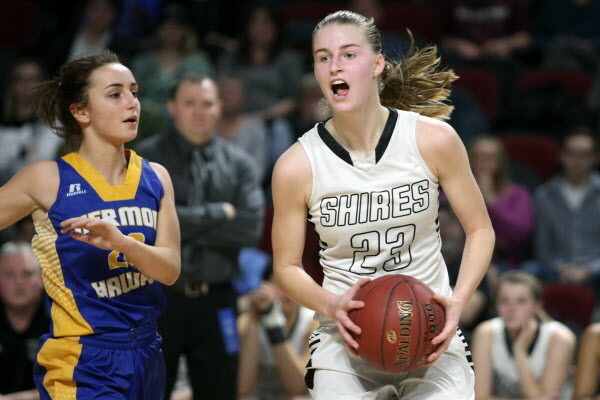 In Class B, Bouchard led Houlton in scoring in all three tournament games, totalling 54 points and 29 rebounds. She contributed three assists, three steals and three blocked shots in a quarterfinal win over Mount Desert Island, three blocks against Hermon and and five assists in the title game victory over Foxcroft Academy. Her left-handed runner from the lane with three seconds left in regulation forced overtime against Hermon in the 37-33 triumph. Bouchard also did an exceptional job handling the ball as the point guard and using her long wingspan to block shots or intimidate opposing shooters. Warman had 13 points and three steals against upset-minded MDI and eight points and two rebounds against Foxcroft. She also did a nice job running the offense with Bouchard. Simpson was a dominant presence in the paint for the Ponies as she had 33 points in three tourney games including 19 in a quarterfinal win over Central of Corinth. She snared nine rebounds in the semifinal win over Presque Isle, including five in the fourth quarter, and had five rebounds in the final against Houlton. Higgins was a prominent force in the paint with 13 points, seven rebounds and two blocks in a quarterfinal win over Winslow and 12 points and three rebounds in the semifinal loss to Houlton. Wheaton, a talented point guard, scored nine points in the quarterfinal win over John Bapst of Bangor before injuring her ankle in the fourth quarter and sitting out the rest of the game. She bravely returned in the semi against Foxcroft and had eight points. In Class C, the 6-foot Peach had a tremendous tournament as she had 61 points and 49 rebounds in the victories over Madawaska, top seed Stearns and George Stevens Academy. She provided 19 points, 12 rebounds and four blocks in the championship game matchup again Dauk and GSA. She showed some nifty moves in the paint and was a valuable rim protector. The 6-foot Dauk had an equally exemplary tournament as she scored 69 points, including 21 vs. Dexter in addition to seven rebounds and two blocked shots. She had 13 rebounds in the quarterfinal win over Calais. She was also a defensive force. Webber scored eight important points in the win over GSA and did an exceptional job as the point guard and as a tenacious defender throughout the tourney. Speed contributed 21 points and six rebounds in the quarterfinal win over Woodland and added eight points in the semifinal loss to GSA. Alley posted 12 points and six assists in the quarterfinal win over Narraguagus and then racked up 19 points and had three steals in the semifinal loss to Dexter. In Class D, Preston did it all in leading the Tigerettes to another regional title. She logged 14 points and four assists and a game-clinching steal and layup in the title game 32-29 win over Southern Aroostook. That followed a 24-point performance against Washburn and a 19-point showing against Ashland. Greenlaw complemented Preston by scoring in double figures in all three games. She had 11 points vs. Ashland and 10 apiece against Washburn and Southern Aroostook. She also had nine rebounds against Washburn. Vining led the Warriors in scoring in their wins over Katahdin and Easton with 13 points in each game. 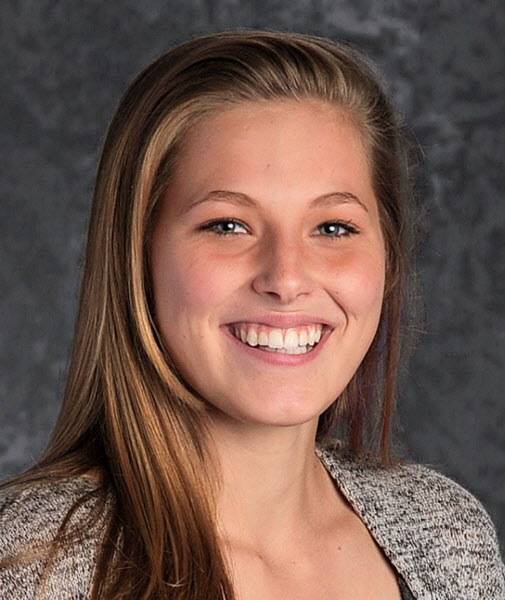 She contributed five rebounds and four steals against Katahdin and seven rebounds vs. Easton. She scored five points in the final. Mathers, who missed much of the season after knee surgery, scored 10 points vs. Shead and eight each against Katahdin and Easton. She also had five rebounds and five assists against Easton. 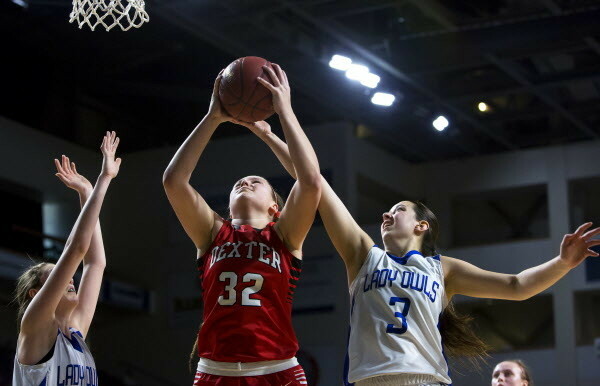 Morin was the catalyst behind Easton’s first tourney appearance in 26 years. The quick, dependable ball handler led the Bears to a quarterfinal win over Deer Isle-Stonington with 16 points and provided 12 points and six boards against Southern Aroostook. In Class A, 5-8 guard Holmes was the catalyst for the powerhouse Messalonskee ballclub. She averaged 24 points in Augusta, including 35 in the Eagles’ quarterfinal win over Gardiner. Brodeur, a 5-10 senior post player, registered double figures in all three tournament contests. She averaged 15 points, netting 17 in the quarterfinal. Turner, a 5-11 junior guard, contributed 11 points per game in helping the Eagles make their push to the title. Crockett and Moore each scored 41 points in the Warriors’ run to the title game. Both players are 5-7 guards.